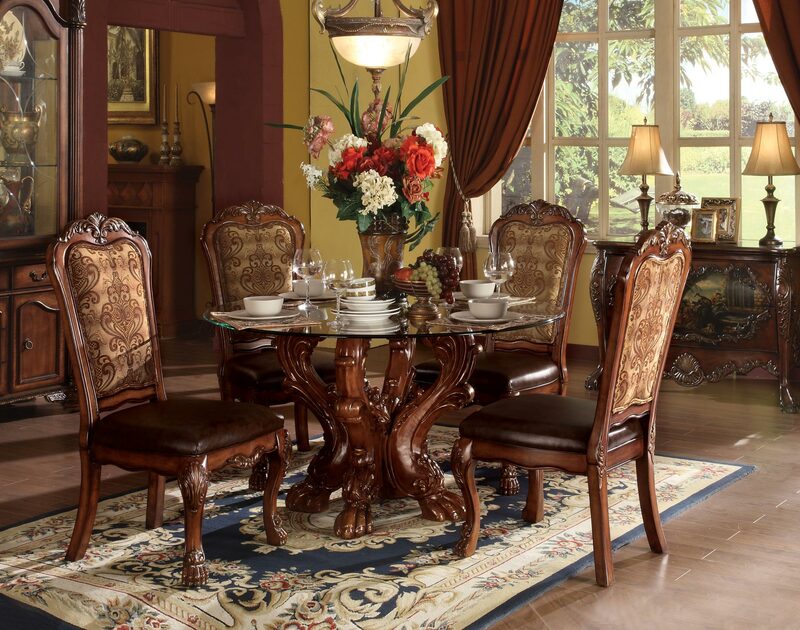 This beautiful dining table and chairs set boasts of round table with glass top and single pedestal base. Intricate carvings in table edges and cabriole legs, chairs with fabric and leather like cushion shows the high level of your taste. 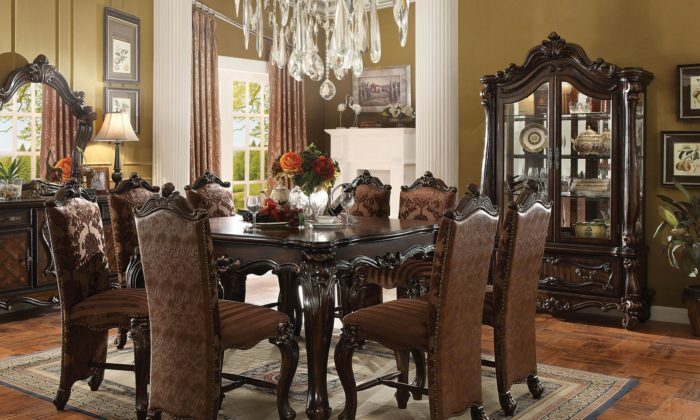 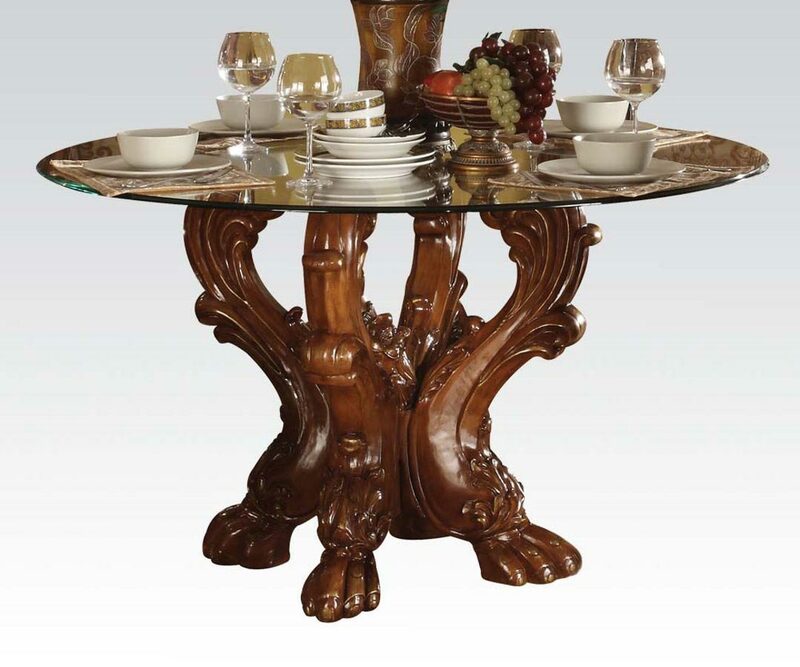 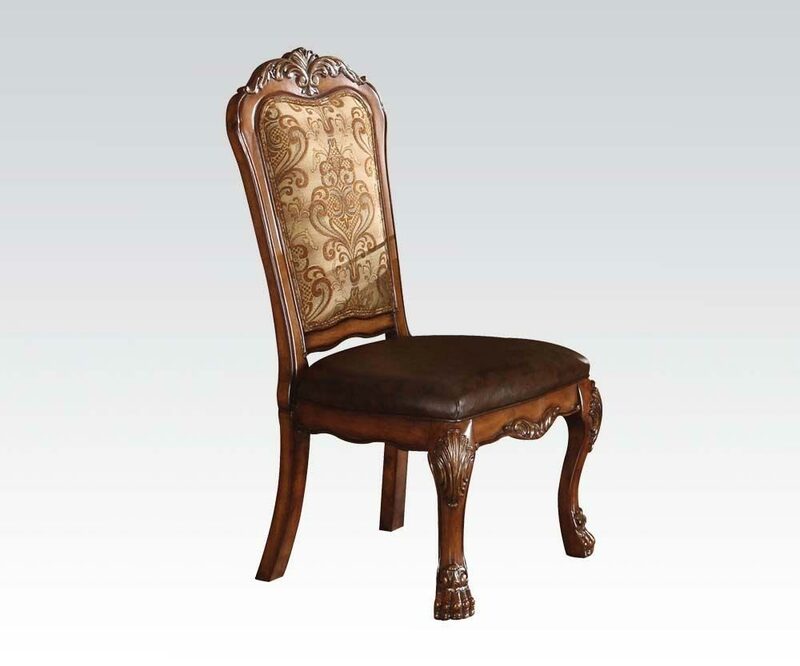 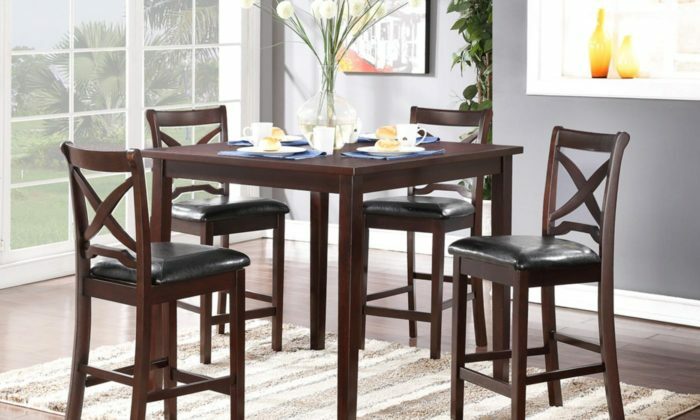 This collection is perfect for any formal dining room. 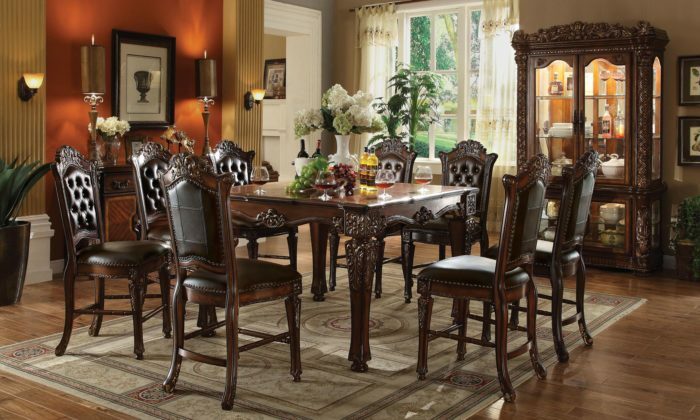 The Dresden Traditional collection has decorative carving, inlay veneers and ball and claw feet perfectly suited for any room environment.